Yesterday I had to export a certificate from an intranet portal using IIS 6.0 to Apache 2.2 running on Ubuntu server 10.4. even though there is plenty of information on the web how export a certificate from IIS to Apache, I think most of the information out of there is either not very clear or is incomplete. 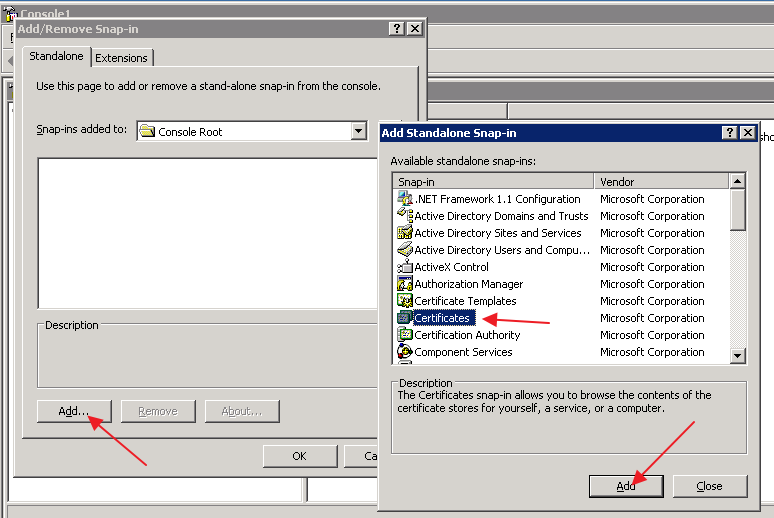 On this post I hope to document the process of exporting a certificate from IIS to Apache as clear and complete as possible for those newbies like me doing this process for the first time. 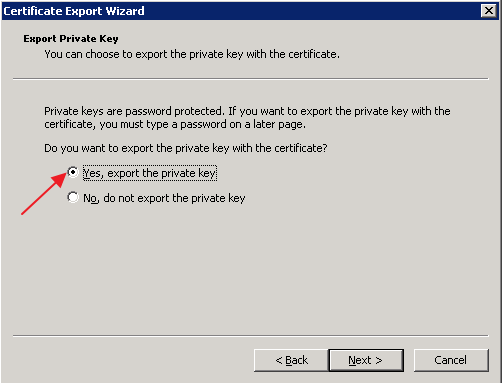 click on Next, choose Personal Information Exchange –PKCS #12 (.PFX) on the following window, and then enter a password for your certificate on the following screen. save the file in the following screen. preferably you should name the file the same as the domain you’re exporting. for example I called my certificate forevergeeks.com click on Finish on the last screen, and you should be done exporting the cert. upload the exported .PFX file to your Apache web server. I’m putting my file at the /var directory. it does not matter in what directory you put your file, just make sure you know the path of that directory. 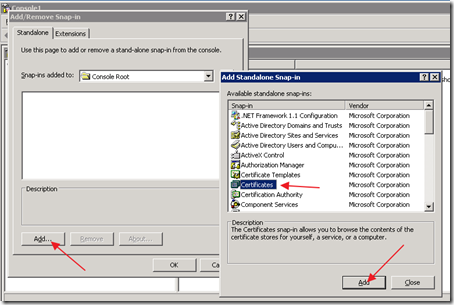 once the certificate is uploaded to the server establish a SSH console connection to the server so you can run some commands. I use putty.exe for this. you will be asked for the import password. 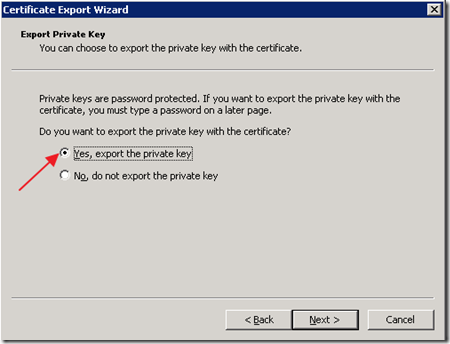 this is the password you entered when exporting the certificate. then the command will ask you for a MAC password, and verify it. that’s it, you are done importing the certificate. now you need to make your web server recognize the certificate so when people go to your site using SSL they get a green URL instead of the certificate warning saying the certificate is not valid. hence that command is to enable the default.ssl file on your apache server. if you already have a virtualhost file please substitute this name with yours. your certificate should be working now! that’s it, you’re done.